If you had not before this Summer, you have certainly by now heard of ALS, sometimes called “Lou Gehrig’s Disease.” Raising money and awareness through the Ice Bucket Challenge has placed ALS in the spotlight. Amyotrophic Lateral Sclerosis is a neurodegenerative disease that affects the motor neurons in the Central Nervous System (CNS). “Amyotrophic” can be translated to “No muscle nourishment,” what is actually happening is the neurons which control the muscle have died, meaning the muscle can no longer be controlled voluntarily. “”Lateral” describes the portion of the spinal column in which the neurons are located. 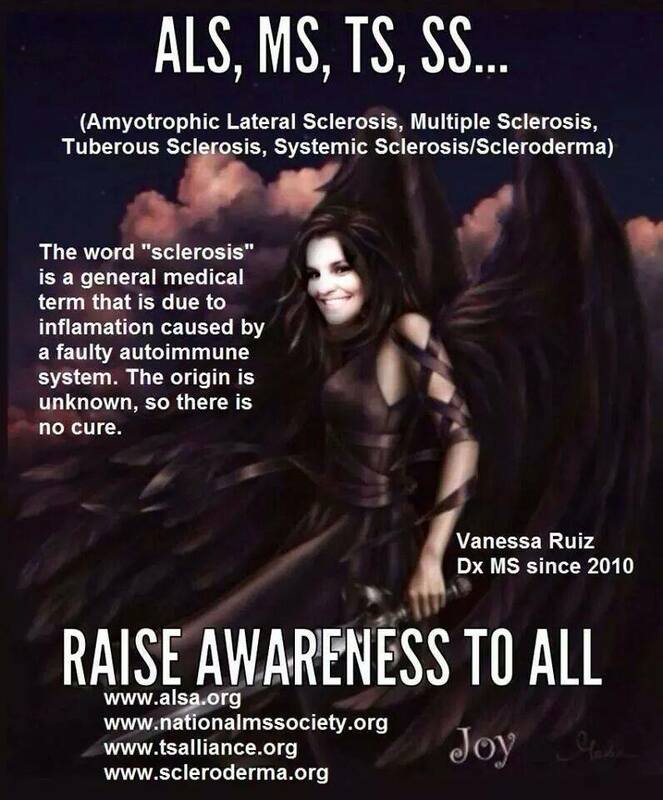 “Sclerosis” is a term for scarring, referring to the hardening of areas in which the neurons have died. As ALS progresses in a patient, the degeneration of the motor neurons causes paralyses, If you recall Stephen Hawking, 40 years ago he was wheelchair bound and mildly spastic. He was able to father children and have a relatively normal life within his accommodations. Today, his communication is limited to a synthetic voice controlled by a computer, which he operates with his cheek muscle, one of the few muscles he is still able to control. Like Lou Gehrig, Stephen Hawking is a famous person putting a face on the disease, which is relatively rare, affecting about two of every one hundred thousand people, about 140,000 people in the world, 6300 in the United States. There is no cure or treatment to end or reverse the degeneration, but a drug from Sanofi-Aventis, Riluzole, may slow the progression of the disease. It’s hard to tell with statements such as that. Stephen was diagnosed with ALS over fifty years ago, life expectancy is rarely more than ten years after diagnosis. My own experience with chronic disease has been some drugs work for some people, each case is different. I was diagnosed with MS twenty five years ago, none of the drugs that have been developed work for me (in fact a few made me worse), but my outward symptoms are barely noticeable. On the other hand, one woman who was diagnosed at the same time as me died within six months. I have a friend who has been raising money for the ALS foundation for years. Every February she is involved in a “Valentine’s Day Plunge” in Manasquan New Jersey, in which people are sponsored to jump into the Atlantic surf to raise money for ALS research. In a bizarre twist of fate, her husband was diagnosed with ALS last year. She has organized a benefit for her husband Danny, and will continue with the Valentine’s Day Plunge, but she also has made popular among our circle of friends the Ice Bucket Challenge, which has now “gone viral.” I don’t know where it started, but we were doing it before it hit the news. The idea behind the Ice Bucket Challenge is to raise money, but in popular culture it has turned into “raising awareness.” Well, a lot of people now know about dumping a bucket of cold water on themselves, but I don’t know that many know about the disease or are making contributions. Thus this article. No amount of cold water or awareness is going to curb ALS, or any other disease. Awareness is certainly nice, with eighteen times as many patients, MS is largely misunderstood and I do find it quite annoying when people misinterpret my condition. Since I was diagnosed eight treatments for MS have been developed, none of which work for me. There is one drug for ALS, if it doesn’t work for you you have no other avenues. It could be worse, I had a friend in the Police Department I worked in who developed a disease only three other people in the United States had. He was the only guinea pig when research needed to be done. He vacationed at the NIH each year, no drug companies were interested in a drug that would have a handful of customers. There is more than research that your donations provide. Most organizations provide support for patients as well. The American Cancer Society provided transportation for Emma to get to her Chemo and Radiation treatments, and provides wigs for patients who lose their hair. The MS and ALS foundations have outreach programs to assist with the daily needs of families affected by the respective diseases. Government funding is drying up, so not only do contributions go directly to research, they also pay for lobbyists to promote funding in Congress. Being aware is not enough. Caring is nice, but only a sociopath doesn’t care. Money is what will make a difference. This year the Ice Bucket Challenge has inspired a flood of donations to the ALS association, $94 million so far. In reality that isn’t much money when you consider the price of laboratory equipment and facilities on top of the daily assistance provided to ALS patients, it amounts to roughly $671 per patient (worldwide). If you do not have the money or time to give, at least educate yourself about these diseases. Understand what that friend of yours is going through. That alone can make a world of difference. Some of you may be aware that I have started a new job, working in one of Amazon’s fulfillment centers. I know fellow independent authors, “the enemy.” Amazon has not been very kind to independent authors, the royalty rates are paltry, but it’s a huge market and they own it. My ranking in their top 100 is #3,621,641, but I was never looking for monetary wealth. I do need to pay the bills, so now I make sure other authors’ books get out into the marketplace. One of the dangers of working at Amazon is seeing all the books you didn’t know about, in fact even products you didn’t know existed. I’ve already come home from work and gotten on the computer to order something I saw going into the warehouse. I’m still waiting to see a copy of my book go by (not bloody likely), if I do I’ll be tempted to pick it up and sign it. Life goes on, the path has curves but it is still the same path. My second day I was moved into the position of “Problem Solver” (one of the perks of having started the first day the facility opened), a fitting place for me. I’ve held a variety of positions in my life, but I’ve always been a problem solver, a “fixer,” the guy who makes things work. Ironic in timing, my personal life is beyond repair, my last wife died in my arms, I can fix other people’s problems but not my own. The work is fascinating. Not so much the work itself, although the problems I resolve vary enough to hold my interest. The warehouse is largely robotic, all the items are stowed in bins that are moved by Kiva robots, then the pod of bins is stored and moved to the person filling an order when that item is needed. Our robots are a little sleeker than the ones in this video, and our pods are four sided and not just open shelves but a series of “bins” on each side, each bin is a unique address in some monster database that maintains the inventory. One of the robots took a liking to me last week, it entered my work area without a pod, stayed facing me for a minute or two, then started flashing its blue headlights at me, as if it was fluttering its eyelashes, then it moved around into my immediate workspace, which it shouldn’t do without a pod, by which time the master program discovered its presence and sent me a message to release the robot into the available pool. If I was just a bit crazier I might believe that #5936 was flirting with me. I have been feeling rather lonely, but not that lonely. The software that makes all this work must be millions if not billions of lines of code, tracking each item, each location, bringing the ordered items to the packers, and I’m fairly sure I might have done a better job in coordinating the processes. I just like watching the robots dance though. If one has a problem and stops, the other robots move around it, like cars in traffic. I had a line of robots waiting to enter a zone that had been shut down, and the robots behind the first in line kept shifting order as they tried to get past. My job is finding lost items, making sure the virtual inventory matches the actual inventory, kind of a liaison between the real and virtual worlds, treading through maya. I am comfortable, in my natural environment. It remains an interesting testament to man’s self doubt that errors are blamed on humans, even in the face of multiple computer faults, so another part of my job is giving feedback to the humans connected to mismatches, trying to help them reduce the number of errors even when I know that more than half the time it wasn’t their fault. Amazon is a quirky company, looking both forward and backward. The founder, Jeff Bezos, started in his garage fifteen years ago, using a door laid across saw horses for a desk. Today, every desk is made of a door. No one carries a briefcase, they use backpacks. No ties (how I miss wearing a tie! ), everyone in T-shirts. The facility, the largest Amazon has at the moment, is over one million square feet of floorspace, and situated within a 100 mile radius of the largest concentration of Amazon customers. My thoughts are it is in anticipation of the ability to deliver by drone, that radius allows a maximum flight of 200 miles, and the rooftop could be a droneport. The hours are a little rough, a ten hour day (plus a half hour lunch) means I start at 0700 and finish at 1730, four days a week. The overlapping shifts mean you have a variety of people to interact with in a week, we all have different “weekends”, but the night shift follows the path of all night shifts, they leave the place a mess every morning and there is no way to communicate with them. I’ll never get to see another “Free at Noon” concert in Philly again, they are always on Friday, and as we head into the Christmas or “Peak” season, there will be overtime, in some instances mandatory overtime, possibly 60 hour weeks. Don’t expect to hear from me after Black Friday until New Years Day. I’m not allowed to carry a camera or cell phone because I have to pass through a metal detector to leave, or I would take pictures and video of some of the amazing technology at play. Keeping track of thousands of employees’ cell phones to be sure they didn’t pick up one off a shelf would be maddening, not only to security but to employees who would like to leave the building within an hour of quitting time. So I take a break from retirement, gathering new experiences to write about, enduring the pain of Lieve leaving me behind, using the time to reacquaint myself with me, or at least discover who I am now. I’ve spent the last four years trying to stop being a “type-A” personality, now those skills are coming back. I have been having a rather rough time lately. I write from my heart and my heart has been broken. Today, 16 August 2014, is the fourth anniversary of my first my first date with Lieve. It was the evening, and remainder of the date, that changed my life. I was struggling for meaning, and I found someone who believed in me. We connected on every level. In a few weeks she leaves for Belgium. We had planned to go together, but she changed her mind and decided to “take a break,” so I will be staying behind, wondering how long her break will be. I remain hopeful, but there is reason to believe she will not be coming back, at least not to be husband and wife. I’ve been to seek counseling, have seen psychologists and psychiatrists, have started taking anti-depressants again and stopped crying. Better living through chemistry. I’ll be writing again, maybe once a week at first to share my insights and experiences. I’ve started a real job, working for Amazon, it’s rather interesting if not terribly challenging. I’ll have a roommate, a Ph.D. candidate in Anthropology from Iran, which promises to produce some interesting conversations, and maybe some new recipes. So just taking the moment, an anniversary of when I started living again, to let you all know I’m still alive and will be around more.